2 Are laser detectors legal to use? 3 Do laser detectors work? 4 What is the best laser detector? 5 Can a top-performing laser/radar detector save you from speeding tickets? If you recently received a speeding ticket and the officer who pulled you over told you that he used police laser on you or you read your speeding ticket and you saw the word “lidar”, you are probably wondering how exactly he determined your speed and if there was a way in preventing another speeding ticket in the future. And you wouldn’t be alone. Of the 125,000 or so speeding tickets that are issued every day, about 25,000 of those speeding citations stem from police laser. While just about every driver is familiar with police radar, many drivers still do not know much about laser as a traffic enforcement technology, even though its use is prevalent. In the case of police radar, when the radar is transmitting, it’s pretty easy to detect in advance from distances that well exceed those that the officer can get your speed, giving you the advantage–which is why we recommend that drivers use a radar detector. To give themselves back the advantage, traffic enforcement departments have been using police laser (also referred to as police lidar). Police laser utilizes a highly focused beam of infrared (IR) light that is aimed at a specific vehicle which cannot be seen to the naked eye. The challenge we drivers all face is that police laser can successfully measure the speed of our vehicles from many thousands of feet away, long before we may even may be able to spot the officer. That’s where a top-performing laser detector can help prevent you from getting a speeding ticket by police laser. While not always the case, today all radar detectors made also act as police laser detectors as well. Some may refer to a laser detector or radar detector as a radar laser detector or laser radar detector. What ever name is used, they each refer to the same device. Are laser detectors legal to use? Since all laser detectors today are also radar detectors, their legality is dictated by the legality of radar detector usage. For non-commercial drivers, radar detectors (and hence laser detectors) are legal to use throughout the United States, with the exception of Virginia, Washington, D.C., and on military bases. If you drive an 18-wheeler, you are out of luck, usage is prohibited nationally. By and large today the vast majority uf radar detectors provide more than sufficient radar detection performance. The quality of laser detection, however, can vary widely between manufacturers and even between models within the same manufacturer. So special consideration should be made in your selection. If you are look online for laser detector reviews, you will not find many authoritative detailed comparisons. Fortunately, as laser countermeasure experts, we’ve done the leg work and have extensively tested and actually driven with every model that we recommend below. What is the best laser detector? While this list is (alphabetical) by no means complete, it’s pretty comprehensive and includes the best radar detectors that are currently being produced since generally both good radar and laser detection performance go hand in hand. Can a top-performing laser/radar detector save you from speeding tickets? Unfortunately, a radar detector generally provides little protection from police laser when used alone. 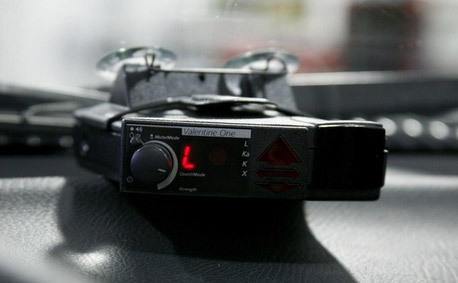 It’s not the radar detector that’s the problem, it’s the nature of the police laser itself. The reason is that when your detector starts alerting, you are already actively being targeted and your speed is already being measured. Today’s police laser guns can clock your speed in a fraction of a second, leaving you little or no time to react to your radar detector’s alert. In other words, laser/radar detectors, by themselves, are essentially speeding ticket notifiers. First, you’ll need to own a radar detector that offers superior laser detection abilities. Be advised that not every detector is created equally, so using a detector from the list above, is going to be a good start. Second, you’ll also going to need to supplement it with an additional layer of protection. That additional layer of protection is a laser absorbent stealth coating, called Veil. For a police laser gun to obtain your speed, it requires its light beams to be reflected back to the gun from the most reflective objects of your vehicle or motorcycle including headlights, foglights, directional indicators, and license plates. If you cut down on what’s reflected, you make it harder for a police laser gun to get your speed and as a consequence, you’ll be able to buy yourself critical more time to react to slow down to your laser detector’s alert (see videos below). That’s exactly what the Veil Stealth Coating is designed to do. Veil is an engineered and patented police laser countermeasure that absorbs the infrared light that police laser uses (much like sunglasses and sunscreen absorbs UV light). 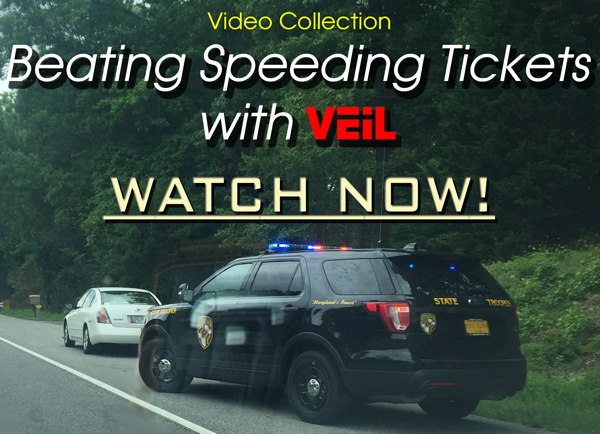 While no countermeasures are full-proof, you can rely on your detector’s laser alert while Veil G5 absorbs it to afford you additional reaction time to safely slow down and avoid that next speeding ticket. Every driver using a detector should pair it with Veil. Veil transforms your detector from a ticket notifier, into a ticket preventer. What is ALPR and what can you do to protect your privacy?